An increasingly digital era begs the question, why do we need cyber-security? Why is it important to me? What effect can it have on my business? These days, there are not many professions that can operate without technology. Teachers are using smartboards to make children’s learning interactive. Contract workers are keeping track of their finances through apps. You schedule meetings digitally, data files on clients are kept digitally, purchase histories of the products you sell are kept digitally. However, it’s not just businesses who are worried about their online security. Personal information is of paramount importance to each of us. Maintaining control of your own identity is something that we all need to be aware of. The digital landscape can be a dangerous place, with hackers out to make a quick buck. Self-education of online privacy can be beneficial to your professional and personal life. They are a modern driver of change and growth, which without would cause major problems with modern business. Data has now allowed the consumer process to be tailored to you. Your devices are connected, your home can operate through AI. So where do we draw the line between private and public? Inform yourself. Educate yourself about your growing fears around data protection and privacy, business or private. An informed workforce makes for tighter security. Again, knowledge is power, so the more informed you are, the less a data breach will cost you to control. Cyber-attacks still rely heavily on human error. Ensuring that you and your workforce are well informed, creates a better, trusting relationship with your clients and customers. Plus, if you are personally informed, it can advance your career, and keep you safe at the same time. So, the more informed you are, the better your company will look, and vice-versa. Employees will have more faith in a company if they feel that their cyber-security is protecting them to the best of their ability. Once you know the threats out there, you can begin to understand the processes needed to prevent cyber-attacks. Understanding the processes carried out by a company to keep information safe, means you can begin to think about what technology you need. Cyber-threats also evolve quickly so you need to be prepared to do the same. Now that you understand your organisation’s processes, you can decide on what technology is needed. Internal risk-assessments will decide an appropriate level of risk for your organisation. For example, using technology by different manufacturers will offer 100 per cent security. Although this is almost always true, tech gaps are likely to appear. Manufacturers will likely keep a certain amount of their code secret. Solid security will identify these gaps and take appropriate action, for it is in these gaps that cyberattacks often occur. Understanding the three pillars and main threats will allow your organisation to be cyber-secure. In the Cyber Security Breaches Survey 2018, it was found that the average cost of a cybersecurity breach for large companies is around £22,300, and for small/medium businesses, £2,310. So, other than the cost of these breaches, why is cyber-security needed? Why do we need cyber-security? Knowledge of cyber-security can create a credibility between yourself, your business and, of course, your customers. Brand reputation can be increased with a little understanding of cyber-security throughout the employees of a company. One in three consumers ranked ‘trust in brand’ as one of the top three reasons that they would buy a product from a brand. That means the relationship between a business and their customers has become an influential factor for success, with trust being more and more respected. This trust is key in the modern business market. And if there is no trust that all personal data is being managed and handled responsibly, then business will no doubt suffer. This shift towards a trust relationship has increased the value of data. That puts cyber-security at the forefront of modern society. Knowledge is power, and therefore knowledge means money. In an ever-changing digital landscape, it is important for everyone that your privacy is safe online. The issue of trust has never been more prevalent in the consumer’s mind. When purchasing a product online, or handing over valuable information to an organisation, consumers need to feel safe, or they could take their custom elsewhere. Being fully receptive to these concerns and understanding the processes which need to be followed will allow consumers to be much more at ease when taking their user journey through your organisation’s website. This is where we can help. Here at EBS, we work with Symantec, the industry leaders when it comes to data protection and cyber-security. Symantec Backup Exec offers a complete solution for data backup, system restoration and disaster recovery. It takes a winning track record in physical recovery and combines it with innovative technology. Covering your business of today and the growth you anticipate for tomorrow. Symantec Endpoint Protection provides protection against viruses and malware. Available as a cloud service, there is no hardware needed, so your business security is fast to install and extremely safe, with automatic updates to keep up with the constantly evolving digital world. These Symantec products, combined with our expert advice from industry professionals, will boost your cyber-security. Our IT support can help with any issues encountered and ensure your company can gain that all important trust from consumers. 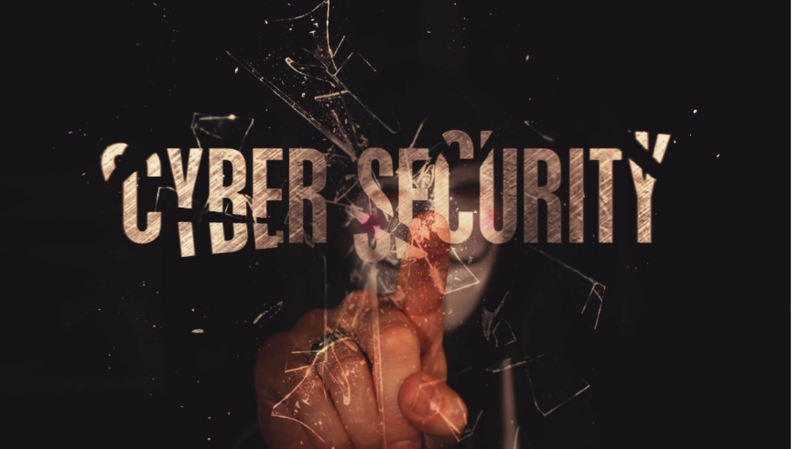 If you would like to discuss further any of these issues on cyber-security, or our products and services, please give us a call on 0121 384 2513, or email us here.